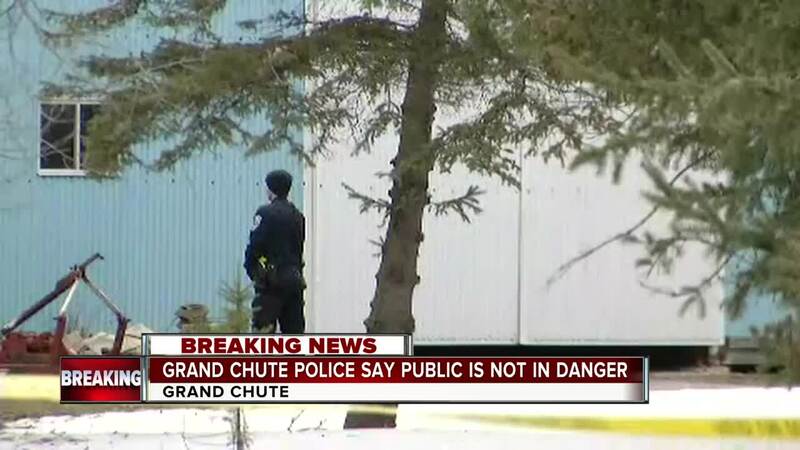 GRAND CHUTE, Wis. — UPDATE: Police have identified the suspect, Alexander M. Kraus, a 17 year old Neenah High School Jr. taken into custody for 2 counts of 1st degree intentional homicide. He is now in Outagamie County jail, waiting on an initial appearance in the next coming days. Police say he's been booked on charges. Police say the victims of the home knew and were known by Kraus. The identities will be released at a later time. Grand Chute police officers responded to a welfare check call on West Edgewood Drive at 11:37 am Sunday morning, in Grand Chute, officers say a possible suspect was taken into custody. Police say the public is not in danger, and it appears to be an isolated situation. This is an ongoing investigation, be sure to stick with NBC26 for all the accurate up to date information.